LG 1-8a, The Boardwalk, No. 2, Jalan Taylors, 47500 Subang Jaya, Selangor. 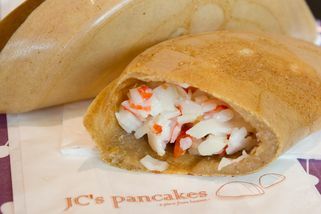 Part of the JC's Pancakes chain. It's at the first floor of Syopz, The Boardwalk, at U-Residence near Taylor's Lakeside Campus. The location at the shoplot is between Snowy and Subway, above Mekong House. 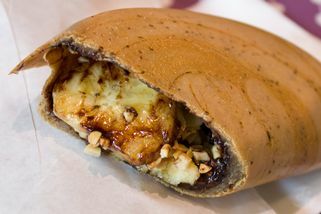 JC’s Pancakes takes a local favourite snack; the Apam Balik, and takes it a step further. 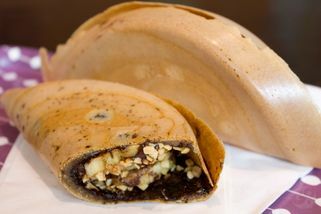 Traditionally a sweet pancake served with sugar, peanuts and sweet corn on top and then folded into half, the Apam at JC’s Pancakes is available with a variety of stuffing. 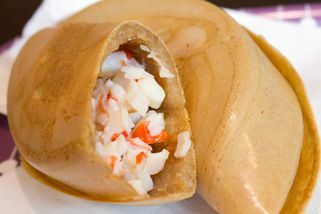 From classic sweet selections like banana and peanuts to savoury choices like tuna, chicken ham and egg, no matter what time of the day it is it’s a good time to have JC’s Pancakes. 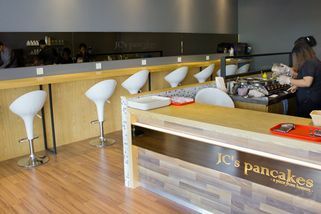 Located at Syopz, The Boardwalk at U-Residence, JC’s Pancakes here functions as a café and also serves drinks unlike the other outlet at Citta Mall. 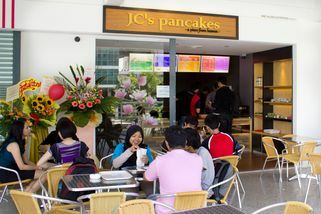 With al fresco seats overlooking a beautiful view of Taylor’s Lakeside Campus, JC’s Pancakes here is a popular hub for students to chill or grab a snack between classes. 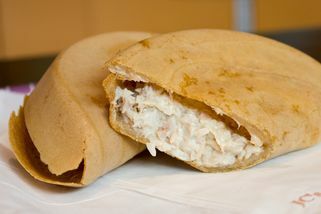 JC's Pancakes @ Taylor's University has no review yet. Submit a review!